Selenopeltis is a spectacularly large genus found in Morocco, Spain and in northern Europe. This disjunct and very interesting distribution has been the cause of a bit of speculation, and is at present not well understood. The genus gets its name from the many flowing appendages of the thorax which give it the superficial look of hair. 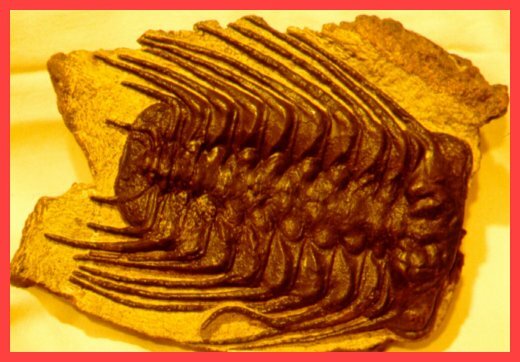 The genus is restricted to Ordovician, but the family (Odontopleuridae) is wide-ranging (Ordovician - Devonian) and the Order (Odontopleuridae) likewise (Middle Cambrian - Devonian).